Boston, MA (August 9, 2012) – Youths from Boston, Los Angeles and Fort Lauderdale earned a $1,000 savings accounts from OneUnited Bank as the winners of the bank’s 2nd Annual I Got Bank! essay contest to promote financial literacy. Isaiah Harris, 10, of Dorchester, Massachusetts; Stephanie Orellana, 12, of Compton, California; and Abshalaam Muhammad, 12, of Fort Lauderdale, Florida, impressed the judges, including Teri Williams, President of OneUnited, one of the largest minority-owned bank in the U.S., with their financial savvy. 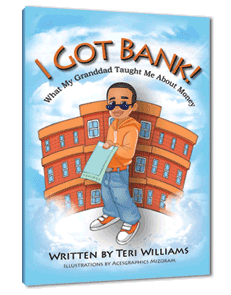 The I Got Bank! essay contest is part of a larger OneUnited Bank effort to educate urban youth about smart money management. I Got Bank! is offered at no cost to libraries and middle schools across the U.S. and to date, more than 3,000 copies have been donated in 37 states. The bank hopes its efforts will increase awareness of such an important subject and improve the financial skills of children throughout the country. I Got Bank! is published by The Beckham Publications Group, Inc. (www.beckhamhouse.com). For more information on how libraries and middle schools can receive a free copy (supplies are limited), please visit: www.oneunited.com/book. Thanks for your interest in the OneUnited Bank Financial Literacy Essay Contest! Entering the contest is easy. Please visit our website (www.oneunited.com/essay) for information.